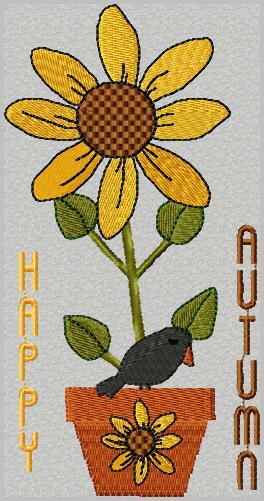 You are here: Home / Blog / Looking for some fall embroidery designs? Looking for some fall embroidery designs? I just thought you might like to know what I have been working on for you. I will still need to test stitch and hope to have them ready for you soon. There is a Christmas set in the making as well, as well as some Christian home designs. Lots of fun coming your way. Here is a preview. The designs are NOT posted yet – if anybody is interested in test stitching for me, that would be greatly appreciated. It would certainly speed up the process of your getting designs. Have a great week. Hope your Labor Day weekend was enjoyable. 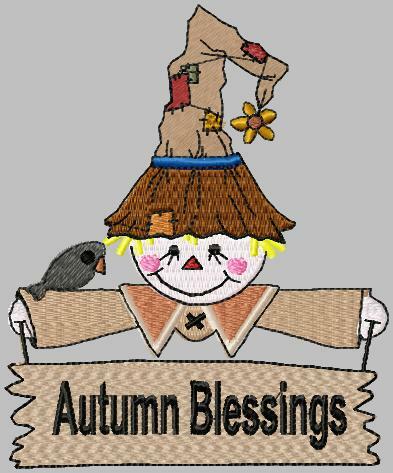 I’ll test the Autumn Blessings one- it’s adorable. Thanks for you hard work. You’re a blessing. I would be glad to test stitch some of your designs. I am still learning my machine and stabilizers so if I can get a good stitch every one should be able to LOL. I also have camera and scanner to send pics back to you of stitch. I only have a limited size hoops though 4×4, 6×9,and 6×14 since I am new. I like those hoop alls but are past my price right now. Thank you both so much for offering. I will be sending some your way within the next 24 hrs or so, okay? Michele, those hoop sizes are all I can handle – I usually try to make designs that fit the 4×4, 5×7, and 6×10 or so hoops. Thank you soooo much for being willing to help. I really appreciate it. I would love to test stitch your beautiful designs. I have a camera and scanner so no problem getting pictures back to you. Brenda, I would love to have you join my group of testers. I’ll be sending something your way soon. Thanks so much for helping. Any time you need help to test stich your designs feel free to contact me. I would be glad to help in any way. Hi Monika, Your Fall set is Fantastic!! The designs are all just so cute! Thank you so much for sharing this wonderful set! i would love to test stitch for you, whenever you need me, i use 5×7 or 4×4 and in pes…just let me know.. I would love to test stitch for you. I use the Jef format and have the Janome MC11000 machine. 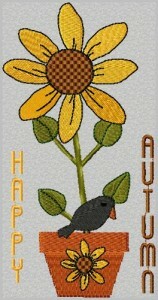 Wow, I was searching for fall designs and came across your site, I just LOVE your fall designs. Any time you need a test stitcher I have 2 machines hoop sizes 2×2,4×4,5×7 and 6×10. I have tested for a couple of other digitizers that specialize in country and prim designs. By the way when will these be available?? I just gotta have them!! Vivian, I am so glad you like what you see! 🙂 I can always use another test stitcher to distribute the load a little. Thanks for stopping by and for writing.